Horror films are a tricky business. It’s up to the filmmakers to bring fear, chills and suspense to the audience. I rather enjoy this particular genre as I enjoy being scared and wondering what the filmmakers are going to come up with next. 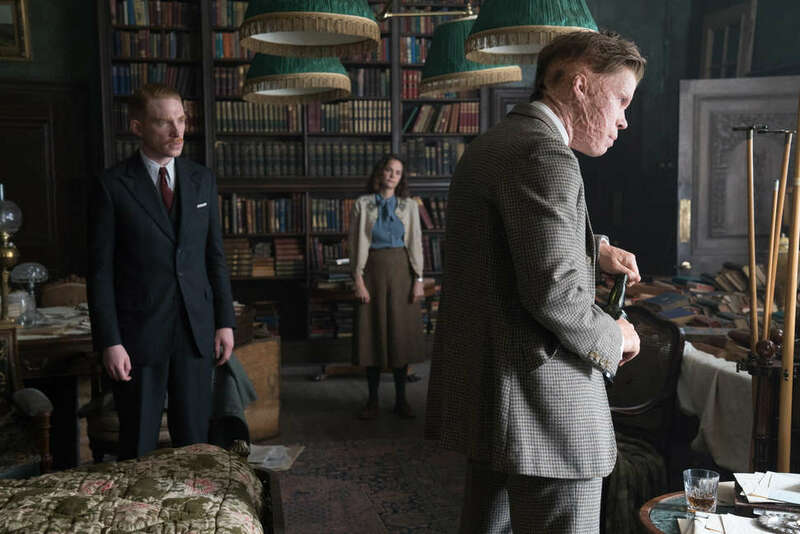 This time around we have The Little Stranger, a British gothic horror story from Room‘s Lenny Abrahamson that takes places in a dilapidated house during the late 1940s. Based off the 2009 novel of the same name, the film flows as if you’re reading a book, but as a movie, and the experience left me feeling rather unsatisfied. We begin the story when Dr. Faraday (Domhnall Gleason) is called to Hundreds Hall, an 18th century estate that has seen better days. The family that lives there are known as the Ayers. They were known as the higher class of people in part of their financial status, but over the years their money has been wearing thin and the house has suffered for it. Dr. Faraday assists with one of the servants of the house when she falls ill. He’s a humble man whose not in the same class as the Ayers but is still a respected member of this small community. Dr. Faraday strikes up a relationship with Caroline Ayers (Ruth Wilson), the sister of the man who owns the estate, Roderick Ayers (Will Poulter). Roderick has seen better days as he was severely injured and disfigured during World War II. The good doctor visits the family frequently in-between seeing his other patients. The family discusses future plans, talk about the old days and even throw a party which sees some guests come to visit. Things start to become strange when a little girl gets mauled by the kind family dog and ends up surviving. There’s talk of something strange in the house. To put it simply, paranoia, delusional thinking and flashbacks are common themes/motifs in this story. While I enjoy a story taking its time to develop its characters and themes, the movie itself is devoid of any suspense. I wasn’t scared or nervous for a second. Sure, there are some bloody moments in the film, but there’s no killer lurking in the halls. This movie is focused on its characters and their stories, but not in what I thought I was getting when I walked into the theater. I suppose if you enjoyed the novel by Sarah Waters, then you may find yourself becoming encompassed in the movie. I wasn’t. 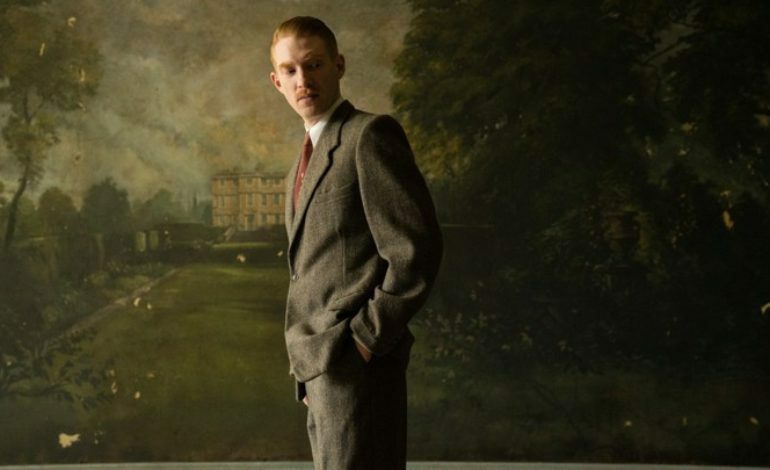 The Little Stranger feels overlong and feels more like an 18th century drama in similar fashion to Downton Abbey instead of a spooky horror film. Does this movie or book have a theme that I’m supposed to recognize even though it’s listed as a drama/horror film? Believe me when I say this, I really wanted to like this movie. I became bored and almost fell asleep. It features good performances no doubt and the atmosphere is somewhat elegant, but I wasn’t on edge. Even the little violence that happens wasn’t that shocking to me, although if you have a weakness for seeing blood on the screen then maybe your spine will get that scared sensation. The Little Stranger is a good title when you think about the story as a whole but to suggest this for a horror piece is something that is near impossible. If you like English drama with a mix of flashbacks and occasional bloody moments then look no further. Besides that, wait for The Nun, which is coming up soon.